Most families love it when pasta and pizza are on the menu, so I’ve gathered seven of my favorite easy-does-it recipes for this FREE 13-page download. From Macaroni Minestrone Soup to Sweet Apple and Squash Lasagna, you and your kiddos will love the medley of fresh flavors, vibrant aromas, and stupendous nutrition in every bite. Is dinner a challenge in your household? Are you hungry for more variety, color, and good nutrition for your family? And do you love pasta and pizza but worry you’re giving your kids nothing but carbs, carbs, and more carbs when dinner time rolls around? I’ve been there! I’ve put my training as a registered dietitian nutritionist and a mom to work to create these seven new and nutritious—not to mention irresistible—pasta and pizza recipes. 7 exciting new ways to feed your family! Yes, pasta and pizza can be healthy! With some attention to what kind of noodles and crusts you use, and some creativity with the toppings, you can turn a ho-hum, unhealthy meal into a feast that’s both hearty and wholesome. The seven no-fuss pasta and pizza recipes that I’ve cooked up here have been tested (and devoured) by my own family. 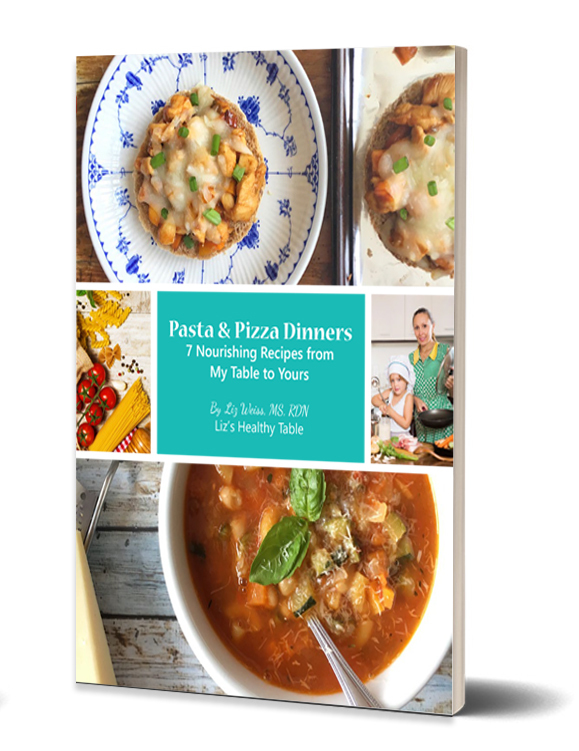 From Macaroni Minestrone Soup and Sweet Apple and Squash Lasagna to Green Eggs and Bacon Pizza, your dinnertime dream of happily sharing one delicious and nutritious meal with the whole family will finally come true.